It wasn’t that long ago that the widespread use of digital twins — simply put, digital replicas of physical counterparts — seemed like an out-of-reach goal. Providing the real-time analytics and machine learning necessary to track and monitor equipment simply was not cost-effective. But the internet of things changed all that. Now, Gartner listed digital twins as one of its Top 10 Strategic Technology Trends for 2017, while IDC predicts a 30% improvement in critical process cycle times in 2018 for companies using them. Those are two promising signs. Today, various companies are using artificial intelligence, data analytics, simulations and the combined knowledge of their teams of scientists and engineers to create interactive 3D models of their end products, such as plane, train and turbine engines. These models monitor machine usage, forecast life expectancy and optimize efficiency. As more companies start implementing this technology, it’s only a matter of time before digital twins become more intricate and elaborate. Instead of simple lines of code, digital twins are set to be the next big thing in mixed reality. Of course, digital twins are not an entirely new concept — they’re already playing a role in virtual reality (VR) and augmented reality (AR). Since the consumer release of the Oculus Rift and HTC VIVE, VR has become more commonplace around the world. Meanwhile, AR is quickly gaining steam in some sectors. As workers get more familiar with the technology at home and work, data reports, spreadsheets and other analytics are being visually upgraded to adapt to these platforms. Rockwell Automation, for example, used its Studio 5000 development platform with Microsoft’s HoloLens VR headset to create a next-generation mixed reality experience for designers. Siemen’s COMOS is a single data platform designed to map out an entire manufacturing plant’s lifecycle by monitoring and modeling instrument data, logic diagrams, piping and more. It’s doing all this in an immersive VR environment developed for the Oculus Rift VR headset. These data models allow workers to view and interact with data in a whole new way. Instead of being limited to two-dimensional flat screens, they’re surrounded by data and reporting. Whether as an overlay to the real world or a fully virtual one, the amount of data that can be consumed at one time increases exponentially. But this is just the beginning of how digital twins and mixed reality are transforming the workforce. For enterprises, this new accompaniment to the greater IoT ecosystem is the ultimate realization of mixed reality combined with data, algorithms, computer-aided design and simulation. 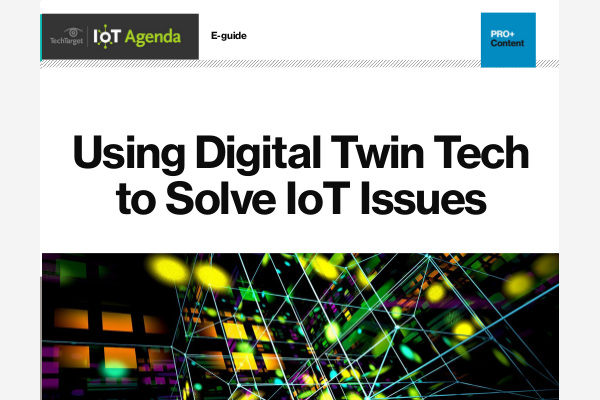 The entire lifecycle of equipment — design, create, maintain and troubleshoot — gets a major productivity boost with digital twins. Countless iterations can be pushed through an endless loop of design and development testing to compare results in a virtual world much faster than the real one. Maserati recently proved this by cutting production time of its Ghibli sports saloon almost in half. The goods being produced don’t have to be as complex as cars — even food, drugs and other mass-produced things can have useful digital twins. It can be as simple as tracking production volume: A plant owner can easily conceptualize where physical tablets are by viewing the data model. Or digital twins can make a process much more efficient. They can also be used to get information about items and their provenance. Through digital twins, that information can be created along with the original and updated in the cloud. Imagine the possibilities for training and collaboration, especially in extreme situations — for instance, a technician working in the field may not have all the necessary data or skills for a crucial repair on a company turbine. Using a digital twin, an engineer from the manufacturer can diagnose the issue and feed instructions to an AR display worn by the field technician. It’s teamwork that wasn’t possible before. And this is just the beginning. The continued evolution of AI, machine learning systems (along with constantly improving processing power), and IoT in general is only going to make digital twins more prominent and powerful. Whether digital twins are the final frontier remains to be seen, but they’re certainly the next one. The IoT ecosystem we’re building has the necessary data, and 5G wireless networks allow us to transfer that data faster than ever before. This combination of AI and 3D data modeling is the ideal use case for enterprise mixed reality. As we move toward 2020, digital twins are going to become exact proxies of their real-world counterparts. And it’s not just happening on the manufacturing end — consumers are willingly installing fitness trackers and other IoT sensors in their homes and on their bodies. This data can be invaluable in assessing what consumers need and enhancing products to fit those needs. From concept to production to even beyond the sale, digital twins are poised to affect nearly every industry from the ground up. And if you’re not ready, chances are you’ll be surpassed by those who are.